Draft: 2007, San Francisco Giants, CAth rd. Graduated from Calhoun High School in Georgia...His grandfather, Leon, played in the Majors from 1943-48 with the Red Sox and Senators... His father, Charles, was selected by the Giants in the 1984 draft, but did not reach the big leagues...He and his wife, Sarah have three children: Collins, Ace and Everly. In his first season in Atlanta, established career-high totals in nearly every offensive category, including games (113), at-bats (296), hits (80), home runs (12) and OPS (.792)…His previous high in games played and at-bats was 95 and 210, respectively, in 2014 ... Appeared defensively at seven different positions: LF (29 games, 23 starts), 3B (20 games, 17 starts), SS (20 games, 15 starts), 2B (9 games, 8 starts), 1B (2 games, 0 starts), RF (2 games, 1 start), P (1 game, 0 starts)...Tossed his first career inning, 8/17 vs. COL, allowing two hits and a run…Made 64 total starts in the field ... Pinch hit and homered with a runner aboard for his fourth career game-ending home run on 6/3 vs. WSH (Tanner Roark)...Also hit a game-ending pinch-hit home run on 5/28 vs. NYM (G1) (off Seth Lugo) for his first home run with the Braves…Since the Braves moved to Atlanta in 1996, the only other Braves player to hit a game-ending pinch-hit home run for his first homer with the team was Keith Lockhart on 5/21/97 ... Became the first player in Atlanta-era history with two pinch-hit game-ending home runs in the same season…Only one Braves player, Brian Hunter, had two such homers over his entire Atlanta career… Prior to Culberson, the last major league player with two such homers in a season was Jason Giambi for the 2013 Cleveland Indians ... His only home run with the Dodgers, his previous team, was also a game-ending home run…He became the first player in MLB history to hit three game-ending home runs without any other type of homer in-between ... Had three hits in his first 27 at-bats (.111) spanning 16 games through the end of April… From the beginning of May through the end of the season, hit .286 (77-for-269) with a .835 OPS ... Hit .303 (50-for-165) with seven home runs and a .521 slugging percentage in 55 road games…Over 58 games at SunTrust Park, batted .229 (30-for-131) and slugged .397 ... Batted .397 (27-for-68) with three home runs and a .462 on-base percentage with runners in scoring position…With two out in these situations, hit .464 (13-for-28) with a .583 on-base percentage and a .786 slugging mark ... Collected a career-best four hits, 7/23 at MIA… Also tied his career-best total with three RBI ... Started all four games of the NLDS at shortstop... Went 2-for-12 (.167). 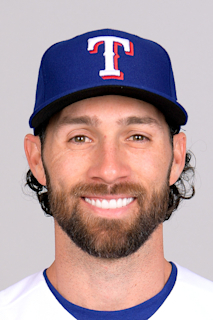 Acquired from the Los Angeles Dodgers along with three other players on December 16, 2017 in exchange for Matt Kemp...Split the 2017 season between the Dodgers and their Triple-A team at Oklahoma City before making the club's league championship and World Series roster...Opened the season at Triple-A Oklahoma City…Batted .250 (96-for-384) with 32 RBI and a .299 on-base percentage in 108 games before joining the Dodgers in September…Had two hits in 13 at-bats (.154) over 15 games with LAD...Had four hits, including two doubles, to match his minor-league career high, 4/27 at Omaha…It was his highest hit total in a game since 7/14/13 with Colorado Springs... Collected at least one hit in 12 consecutive games, 8/16-29 with Oklahoma…Six of the 12 games were of the multi-hit variety and he posted a .419 (18-for-43) batting average with four doubles and six runs scored during the stretch. In three stints with the Dodgers, he batted .299 with three doubles, a home run and seven RBI in 34 games after making the club's Opening Day roster...Posted a .966 combined fielding percentage, appearing in 10 games (nine starts) at second base, four games (two starts) at third, 11 games (eight starts) at shortstop and two games at left field...Hit a walk-off homer on Sept. 25 vs. COL to clinch the NL West division title…Was his second-career walk-off home run (5/3/14, COL vs. NYM)...Appeared in 70 games with Triple-A Oklahoma City this season, hitting .260 with 17 doubles, two triples, four homers and 33 RBI. Was a member of his first career Opening Day roster and spent nearly the entire season on the Rockies active roster...was optioned April 13 to Triple-A and recalled from Triple-A on April 21...Received starts at all four infield positions in 2014, including double digit starts at second base (14), third base (18) and shortstop (13)...posted a .987 fielding percentage at shortstop, making just one error in 135.2 innings...Received 21 pinch-hit plate appearances, batting .167 (3-for-18) with one double, one home run and five RBI...his home run was a pinch-hit walk-off two-run home run on May 3 vs. New York-NL...it was the first walk-off HR of his career, and the first of four walk-off HR for the Rockies in 2014...Had a career-high three RBI on Aug. 14 vs. Cincinnati in the Rockies 7-3 win...drove in all three runs with a three-run homer...Two of his three HR in 2014 came after entering the game as a reserve (HR June 29 at Milwaukee was after def. rep. at 2B)...three of his five career homers are after entering game as a reserve...Was a defensive replacement in 32 games for the Rockies in '14...posted a .988 fielding percentage at second base, making just one error in 80 total chances at that position. In what was his first full season in the Rockies organization, Culberson spent the majority of the 2013 season at Triple-A, but also saw action in 47 games at the Major League level... Was acquired at the 2012 trade deadline from San Francisco in exchange for INF Marco Scutaro... In 97 games for the Sky Sox, Culberson hit .310 (123-for-397) with 27 doubles, 8 triples, 14 home runs, 64 RBI, 63 runs and 13 steals... Was recalled by the Rockies on 7/29 and would stick on the Rockies active roster for the remainder of 2013...was his 2nd season in the Majors after appearing in 6 games for the Giants in 2012... Played in 23 games in August and 21 in September...hit .370 (17-for-46) with 3 doubles, 1 home run in September... Despite spending just two months with the big club, Culberson's 20 pinch-hit at bats were the 3rd-most on the club...hit .300 (6-for-20) with 1 home run, 4 RBI in the pinch... Connected on his first career MLB home run on 8/16 at BAL off Wei-Yin Chen... Played all but three Minor League games in the infield but played 27 games in left field and four at second base in 2013 with the Rockies... Hit .355 (11-for-31) with 1 double, 9 RBI with runners in scoring position. Played first game with the Sky Sox in 2012 against former team the Fresno Grizzlies after being acquired for MarcoScutaro on 7/28...batted .336 (42-for-125) in his 30 games for the Sox after being acquired. Batting average ranked second highest among Sky Sox players with 20+ games played...his 32 hits and 12 XBH weretied for 2nd on the Sox during August (both trailing Wheeler)...collected a hit in all but four games of 30 with the SkySox (11 multi-hit games). Eight multi-hit games in the final two weeks (15 games) of the 2012 season...played 15 home games and 15 roadgames for the Sky Sox, totaling the exact same amount of hits (21), homers (1) and RBI (6) in home and road games,but batted better at Security Service Field at .350 (21-for-60). In his 5th professional season, batted .259 (143-for-553) in 137 games for double-A Richmond. ... Posted 9-game hitting streak from May 5-12, batting .333(12-for-36) with 3 RBI and 5 runs scored... ... Set Richmond franchise record when he homered in3-consecutive games June 8-10...marked 2nd-time in hiscareer that he has homered in 3-straight contests (last:July 11-13, 2010 with San Jose Giants)... ... Was named to Eastern League mid-season All-Star team...went 2-for-2 with RBI, 2 runs scored, and SB as reserve inEastern League All-Star Game. ... Went 3-for-5 on July 19 with 3 2Bs, 2 RBI, and runscored...became 1st Flying Squirrel franchise history tocollect 3 2Bs in game. Had breakout campaign, helping lead Class A Advanced San Jose to California League title after batting .290 (146-for-503) with 28 2Bs, 16 HRs, 71 RBI and 25 stolen bases in 128 games...Hit .400 (40-for-100) in month of June...Named California League Player of Week from July 12-19, hitting .429 (14-for-27) with 3 HRs and 8 RBI...Batted .273 (9-for-33) with 6 RBI during CAL playoffs...Named Arizona League Rising Star after batting .366 (34-for-93) with 11 2Bs, 2 3Bs, 2 HRs and 16 RBI in 21 Fall League games. Spent 2nd-straight campaign with Class A Augusta, appearing in 132 games and batting .246 (125-for-509)...Ranked 2nd in South Atlantic League in at-bats (509) and 3rd in games played (132). Hit .234 (66-for-282) with 3 HRs and 27 RBI in 81 games at Class A Augusta...Batted .333 (23-for-69) vs. left-handed pitchers...Missed nearly 8 weeks of season from Aug. 1-Sept. 22 with broken right hand. In his 1st professional season with Giants organization, batted .286 (46-for-161) in 46 games for ARL-Giants. October 14, 2017 Los Angeles Dodgers activated SS Charlie Culberson. October 6, 2017 Los Angeles Dodgers reassigned SS Charlie Culberson to the minor leagues. September 4, 2017 Los Angeles Dodgers selected the contract of SS Charlie Culberson from Oklahoma City Dodgers. July 4, 2017 Oklahoma City Dodgers activated SS Charlie Culberson from the 7-day disabled list. June 26, 2017 Oklahoma City Dodgers placed 3B Charlie Culberson on the 7-day disabled list. December 9, 2016 Los Angeles Dodgers sent 3B Charlie Culberson outright to Oklahoma City Dodgers. October 23, 2016 Charlie Culberson roster status changed by Los Angeles Dodgers. October 15, 2016 Los Angeles Dodgers reassigned SS Charlie Culberson to the minor leagues. August 23, 2016 Los Angeles Dodgers recalled SS Charlie Culberson from Oklahoma City Dodgers. July 23, 2016 Los Angeles Dodgers optioned 3B Charlie Culberson to Oklahoma City Dodgers. July 21, 2016 Los Angeles Dodgers designated Charlie Culberson for assignment. July 20, 2016 Los Angeles Dodgers recalled 3B Charlie Culberson from Oklahoma City Dodgers. May 18, 2016 Los Angeles Dodgers optioned 3B Charlie Culberson to Oklahoma City Dodgers. April 3, 2016 Los Angeles Dodgers selected the contract of Charlie Culberson from Oklahoma City Dodgers. November 28, 2015 3B Charlie Culberson assigned to Oklahoma City Dodgers. November 19, 2015 Los Angeles Dodgers signed free agent 3B Charlie Culberson to a minor league contract and invited him to spring training. November 9, 2015 OF Charlie Culberson assigned to Gigantes del Cibao. November 6, 2015 3B Charlie Culberson elected free agency. September 23, 2015 Albuquerque Isotopes activated 3B Charlie Culberson from the 7-day disabled list. June 23, 2015 Albuquerque Isotopes placed 3B Charlie Culberson on the 7-day disabled list. Lumbar disk injury. June 13, 2015 Albuquerque Isotopes activated 3B Charlie Culberson from the temporarily inactive list. June 9, 2015 Albuquerque Isotopes placed 3B Charlie Culberson on the temporarily inactive list. June 6, 2015 Colorado Rockies sent 3B Charlie Culberson outright to Albuquerque Isotopes. June 6, 2015 3B Charlie Culberson roster status changed by Colorado Rockies. May 30, 2015 Colorado Rockies sent 3B Charlie Culberson on a rehab assignment to Albuquerque Isotopes. April 12, 2015 Colorado Rockies transferred 3B Charlie Culberson from the 15-day disabled list to the 60-day disabled list. Lumbar disc injury. March 31, 2015 Colorado Rockies placed 3B Charlie Culberson on the 15-day disabled list. Lumbar disc injury. April 21, 2014 Colorado Rockies recalled 3B Charlie Culberson from Colorado Springs Sky Sox. April 13, 2014 Colorado Rockies optioned 2B Charlie Culberson to Colorado Springs Sky Sox. November 12, 2013 2B Charlie Culberson assigned to Toros del Este. July 29, 2013 Colorado Rockies recalled Charlie Culberson from Colorado Springs Sky Sox. March 24, 2013 Colorado Rockies optioned Charlie Culberson to Colorado Springs Sky Sox. October 4, 2012 Colorado Rockies recalled Charlie Culberson from Colorado Springs Sky Sox. July 31, 2012 Charlie Culberson assigned to Colorado Springs Sky Sox from Colorado Rockies. July 28, 2012 Colorado Rockies traded 2B Marco Scutaro to San Francisco Giants for 2B Charlie Culberson. May 24, 2012 San Francisco Giants optioned 2B Charlie Culberson to Fresno Grizzlies. May 13, 2012 San Francisco Giants recalled Charlie Culberson from Fresno Grizzlies. March 15, 2012 San Francisco Giants optioned Charlie Culberson to Fresno Grizzlies. November 18, 2011 San Francisco Giants selected the contract of Charlie Culberson from Richmond Flying Squirrels. April 2, 2011 Charlie Culberson assigned to Richmond Flying Squirrels from San Jose Giants. January 14, 2011 San Francisco Giants invited non-roster 2B Charlie Culberson to spring training. August 31, 2010 Charlie Culberson assigned to Scottsdale Scorpions. April 5, 2010 Charlie Culberson assigned to San Jose Giants from Augusta GreenJackets.